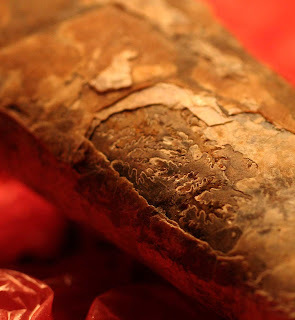 Some of the suture pattern on a cephalopod fossil fragment still visible. Creature lived in the Cretaceous Period and was found in South Dakota. 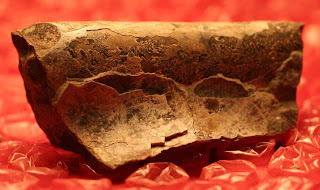 Fossil obtained from the Indiana Society of Paleontology at GeoFest 2010 (Indiana State Museum). Fossil about 5 cm in length.